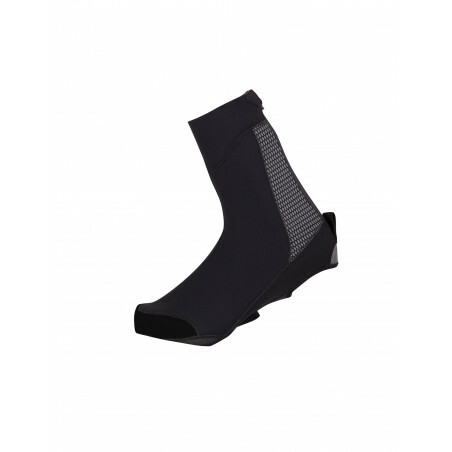 Waterproof neoprene overshoes with thermo-welded seams. Reflective print and insert on the back. 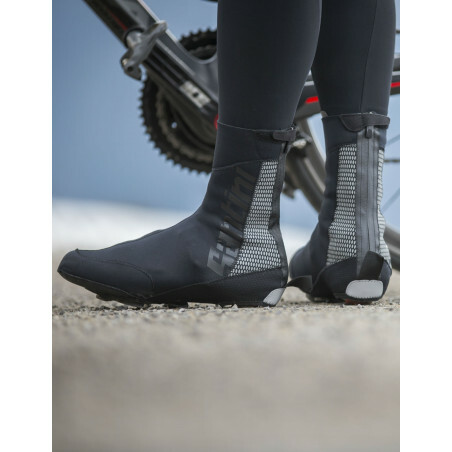 Waterproof neoprene overshoes with thermo-welded seams. 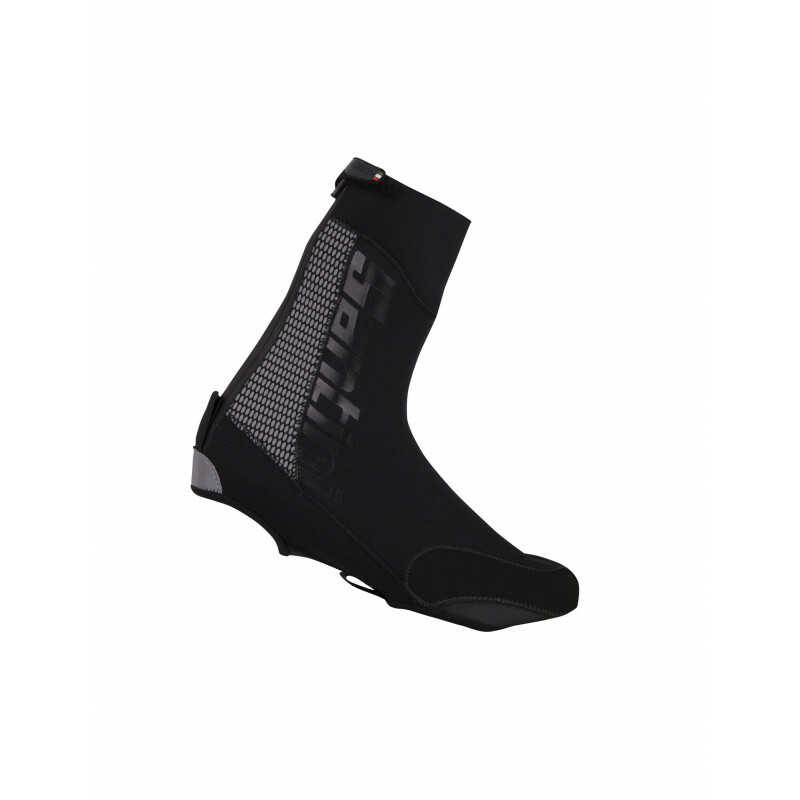 Reflective print and insert on the back; Santini reflective thermoplastic on the outside. Ideal for extreme cold and heavy rain.